This webpage is dedicated to share some delicious recipes with all the visitors of our website and to inspire them to try different dishes and enjoy them! We intend to share links to some existing cooking videos through this webpage. 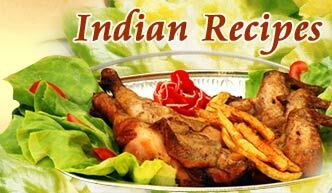 To promote healthy eating, we also have dedicated section for Healthy Food Recipes. Please also share your own recipes with us so that they can be shared on this webpage with all! NOTE: In case you want to buy some ingredients for the dishes, then do not forget to visit our Grocery Shopping guide page.